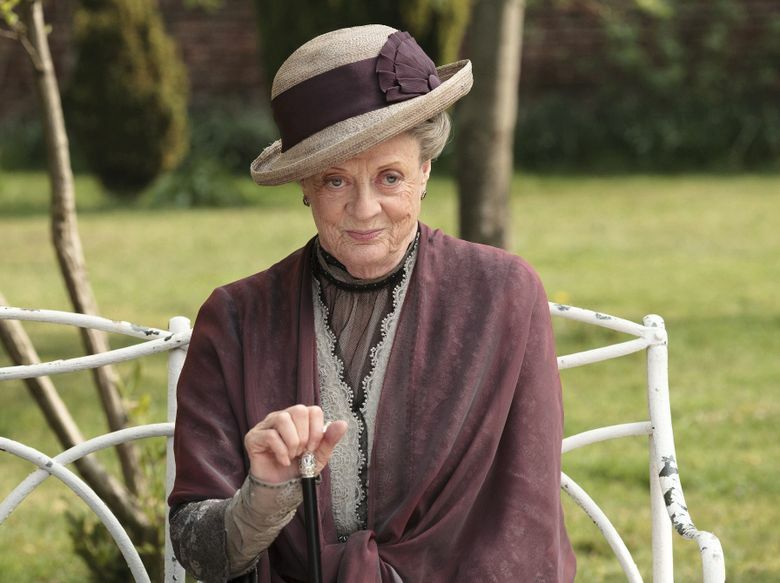 With the official announcement of a "Downton Abbey" movie, longtime-fan and movie critic Moira Macdonald has some possible storyline ideas. As a diehard “Downton” fan who nonetheless found much to complain about in the final seasons, I remain undecided as to whether this is a good idea. But, since nobody asked me, the movie’s coming anyway, with a plot that has not yet been disclosed. So now all I can do is look forward to the outfits, and suggest a few possible storylines . . .
Michael Gregson — he of the Madwoman in the Attic wife, much-passed-about child with Edith, and really excellent London flat that I covet — is not really dead. No body was ever found, right? I watched all of Season 6 quite certain that he was going to pop out of the shrubbery one day, giving everyone the vapors. Now that Edith’s married off to a nice rich guy whose name I can’t remember, this would be a very good time for Michael to turn up, wouldn’t it? I’d watch that! Thomas, after six seasons of misery, is allowed to find love. We know that the character is gay, and that he struggles with self-worth (that’s what made him so nasty for all those seasons); can’t he meet a nice footman? Yes, I know it wouldn’t be realistic, considering the times, for him to live happily ever after. Then again, anybody who noticed how Mary never put together that Marigold was Edith’s child, despite Edith doing everything but yell “I AM HER MOTHER! !” directly in Mary’s ear, knows that this show didn’t entirely deal in realism. Edith’s happy ending, at the end of the series, proves to be short-lived. Nothing ever goes right for Edith! At the start of the movie, how about if Edith’s husband is found in a compromising position with a kitchen maid? Or decapitated after an errant horse-jumping attempt? Or destitute, after lending all his money to his financially clueless father-in-law? Spratt and Denker (the Dowager Countess’s eminently quotable staff) run off together, causing the Dowager to purse her lips for an eternity. They then return and open a shop in the village, where Spratt begins his career as a personal stylist to the ladies of the town. Mary, after the tragic death of her husband Dishy Henry Talbot (Mary’s men are always dying on her), finally opens her eyes and sees her one true love: TOM. No release date for the film has been announced, though I’m going to guess the 2019 holiday season. In the meantime, we can all enjoy the speculation. Downton fans, share your ideas!